Elizabeth Rosenthal is editor-in-chief of Kaiser Health News, an editorially independent news program of the Henry J. Kaiser Family Foundation and a partner of NPR's. Neither KFF nor KHN is affiliated with Kaiser Permanente. Radio producers Sam Briger and Thea Chaloner and web producers Bridget Bentz and Molly Seavy-Nesper contributed to this story. This is FRESH AIR. I'm Terry Gross. Have you ever looked at a hospital bill and been aghast at how expensive and incomprehensible it was, or tried to figure out which health care plan to choose and played the odds about whether you should go for the high deductible plan or not? Patients are told to be good consumers, but we're navigating a system that isn't exactly user friendly. The new book "An American Sickness" explains how health care became big business and how the pricing and billing of medical services, devices and prescription drugs became so complicated even a lot of doctors don't understand it. My guest is the author, Elisabeth Rosenthal. She's the editor-in-chief of Kaiser Health News. Before that, she was a reporter at The New York Times. When she was covering health care for the Times, she wrote a series called "Paying Till It Hurts." Before becoming a journalist, she was a physician. Elisabeth Rosenthal, welcome back to FRESH AIR. Let's start with some of your economic rules of the dysfunctional medical market. You say more competition doesn't mean better prices. In fact, it can drive prices up. That's a very interesting thing to say considering how much we've been hearing that if we repeal and replace Obamacare and make the market more competitive, it will be more favorable in terms of price for medical consumers. So why do you say that more competition can actually drive prices up? ELISABETH ROSENTHAL: Well, what we see in health care is not like what we see in any other economic market. I mean, it's sad. It's amusing. It's baffling, which is partly why I undertook this book. But basically if you look at drug prices, for example, there was a miraculous drug called Gleevec which really changed cancer patient's lives when it came out maybe 10, 15 years ago. Now there are many, many kind of copycat versions of Gleevec. We call them in the profession sons of Gleevec. And they're all four or five times more expensive than Gleevec was when it came out. So if you were looking at a world where an economic market worked, you would think, wow, there are 10 of these now so the price should have come down - it hasn't. ROSENTHAL: Well, because the standard in health care has been usual and customary. So that kind of doesn't let the market work. You may have seen that on your insurance bills, or you may have seen that when your insurer is saying this is how much we're going to pay. It's the usual and customary in your area. Well, what happens if everyone is charging five times as much as is reasonable? Well, then five times as much becomes usual and customary. And it's a very inflationary concept over time. So what you see because of usual and customary is that maybe a gallbladder operation will cost $50,000 in Nassau County on Long Island, but it might cost $10,000 five miles away in Queens. And that's because the usual and customary in those two geozips are very different. GROSS: So you're saying prices rise to whatever the market will bear? ROSENTHAL: Well, that's the ultimate lesson of much of American health care is that prices rise to whatever the market will bear. And another concept that I think is unique to medicine is what economists call sticky pricing, which is a wonderful term. It basically means - and you see this over and over again in the drug sphere and also in the hospital chargemaster sphere - once one drug maker, one hospital, one doctor says hey, we could charge 10,000 for that procedure or that medicine. Maybe it was 5,000 two months ago, but once everyone sees that someone's getting away with charging 10,000, the prices all go up to that sticky ceiling. Maybe they come just a little bit below. 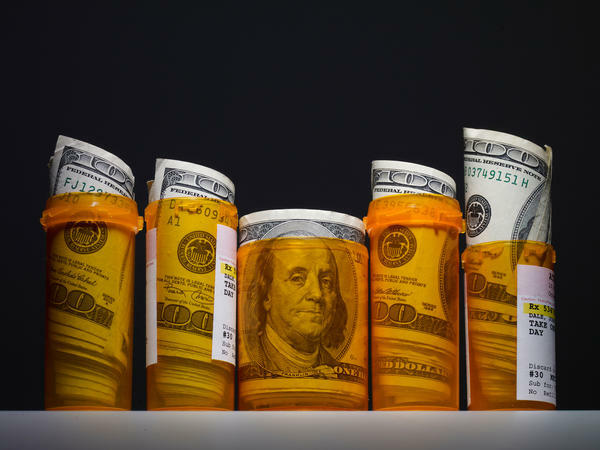 What you see often now is when generic drugs come out, so there's lots of competition, the price doesn't go down to 20 percent of the branded price, it maybe goes down to 90 percent of the branded price. So we're not getting what we should get from a really competitive market where we, the consumers, are making those choices. GROSS: But the premise of the competitive market is that we'll be shopping for the hospital or the doctor that does the procedure for the cheaper cost and that will bring prices down. Apparently things aren't working that way. ROSENTHAL: Well, this concept makes me a little nuts frankly because we're told over and over again - and this is part of why I'm so obsessed with this - we're told over and over again, oh, you should be a good consumer of health care. OK, right. What do you need to be a good consumer? You need to know a price. OK. I need - say my doctor tells me you need to get that wrist X-rayed after you fell. I may call 10 X-ray centers. No one's going to tell me the price. They're all going to say it depends on your insurance or we don't know. So how can I shop around? Even in that kind of elective situation, I can't really shop because I don't know the prices. And P.S., a lot of medicine isn't so elective. Your doctor says hey, you need to have your hip replaced. Or your doctor says, I'm going to fill out a requisition for this blood test. Here's the lab I'm sending it to. You don't have a lot of choice. Now, part of what I'm saying is you should ask for that choice. So if your doctor says, I'm going to order this blood test and here's the lab you should go to, it's beholden on us now to say hey, which labs are in my network? I'm going to go to one in my network because I don't want to be hit with an out-of-pocket cost for that test. GROSS: OK. I'm going to name another one of your economic rules of the dysfunctional medical market. And that rule is a lifetime of treatment is preferable to a cure. Preferable for who? ROSENTHAL: Well, you know, you've got to look at every medical problem from two sides - what's right for health care and what's good for business. And you have to remember, we've trusted a lot of our health care to for-profit businesses. And it's their job, frankly, to make profit. Much as that makes me uncomfortable and I might not like it, you can't expect them to act like Mother Teresa's - they're not. So if you're a pharmaceutical manufacturer and you have a problem like diabetes, for example, if I invented a pill tomorrow that would cure diabetes, that would kill a multi-billion dollar business market. It's far better to have treatments. And, you know, sometimes really great treatments, very effective treatments, so that's good. But you kind of want the treatment to go on for life. That's much better than something that will make the disease go away overnight. Now, one expert in the book joked to me - kind of tongue-in-cheek, of course, because no one would think of this as a good outcome - that if we relied on the current medical market to deal with polio, we would never have a polio vaccine. Instead, we would have iron lungs in seven colors with iPhone apps. GROSS: If you're just joining us, my guest is Elisabeth Rosenthal, author of the new book "An American Sickness: How Healthcare Became Big Business And How You Can Take It Back." One of the things I've been noticing is the consolidation of hospitals, where one entity will buy up a bunch of hospitals in the region. And the hospitals maintain their name, but they're all under a larger entity. What's that about? Why is that happening? ROSENTHAL: Well, that's a complicated question. It started happening because in many cases it's not very efficient to have a huge number of hospitals scattered in every little town. You know, if you're - if you need open-heart surgery, maybe you should go to a center that does lots of open-heart surgery. And in the beginning - and this is - so much of this book starts in the beginning because we've seen these things evolve over time. And in the beginning, this was a good idea. Hospitals came together to share efficiencies. You didn't need every hospital ordering bed sheets. You didn't need every hospital doing every procedure. You could share records of patients. So the patient could go to the medical center that was most appropriate. Now that consolidation trend has kind of snowballed and skyrocketed so to a point now in many parts of the country, major cities only have one, maybe two hospital systems. And what you see with that level of consolidation is, you know, it's kind of a mini-monopoly. And what happens, of course, when you have a mini-monopoly is you have an enormous sway over price. And so what we see in research over and over again is that the cities that have the most hospital consolidation tend to have the highest prices for health care without any benefit for patient results. GROSS: There are so many shopping plazas now that have a dialysis center and an imaging center. You'd never see that in a shopping center in the past. What's going on there? Why are there so many kind of standalone medical centers like that - medical specialty centers? ROSENTHAL: Yeah. Again, what we see over and over in health care is something that started maybe 20, 30 years ago as a good idea and a positive thing, has kind of morphed into something that's far more ambiguous in its utility. I mean, the idea was in the '80s and '90s that a lot of things that used to be done in hospitals, could be done as outpatients. You know, that's far more convenient for patients. If you need dialysis, you don't have to go into a hospital. If you need minor surgery, you don't have to go into the hospital. So there was a movement of a lot of things to outpatient status. Also anesthesia got better. We could do much more under local. It was a good idea in the beginning. And it still is for a number of things. But what's happened is it became a revenue source. So a lot of these outpatient clinics became owned by doctors who were doing the surgeries. So there was a kind of mixed motivation in do you need the surgery? And I'm making money from this surgery. So when your doctor says, OK, you need a colonoscopy. We can do it on either Tuesday - I'm doing it at my surgicenter - or Thursday, where I do them in the hospital. ROSENTHAL: Yeah. Yeah. It almost always will because you're paying a hospital fee. On the other hand, I think, you know, there's an upside and a downside. If you're having a serious medical procedure in a surgicenter, maybe it can't handle emergencies that a hospital could handle. So, you know, there are things that need to be done in the hospital. And there are things that can be done in surgicenters. ROSENTHAL: (Laughter) There's a new twist in this. But let me - the push is partly from the health insurance companies because it's lower cost. It's driven largely, though, by the people who own the outpatient surgery centers, of course - the ones you see advertising on TV and in shopping malls because they want the revenue. So the hospitals as a whole don't like it. But in the latest twist of this ongoing consolidation of financial power, many of the hospitals have decided to end this trade war with the outpatient surgery centers and are just buying them up. So the thing in your shopping mall that looks like an outpatient surgery center that may be owned by some investors or some physicians, is now actually rebranded as being the hospital. Even though it's the same surgicenter in the same shopping mall, they'll just say, oh, it's now part of our hospital network. So now that same surgery center will charge hospital prices. So in some ways, the consumer/patient can't win. GROSS: If you're just joining us, my guest is Elisabeth Rosenthal, author of the new book "An American Sickness: How Healthcare Became Big Business And How You Can Take It Back." She's editor-in-chief of Kaiser Health News. And before that, she was at The New York Times - there as a reporter for a long time and ended up covering health care there. We're going to take a short break, and then we'll be right back. This is FRESH AIR. GROSS: This is FRESH AIR. And if you're just joining us, my guest is Elisabeth Rosenthal, author of the new book "An American sickness: How Health Care Became Big Business And How You Can Take It Back." She's editor-in-chief of Kaiser Health News. Before that, she was a longtime correspondent at The New York Times where she ended up covering health care and wrote a series about health care called Paying Till It Hurts. So, you know, there's a big conflict now between people who want to save Obamacare and people who want to replace and repeal it. We know what happened the first time around. The repeal and replace attempt failed before it got to the floor. There are still a lot of proponents of single payer. ROSENTHAL: Well, I'm still a journalist. So I can't endorse one solution or another. Single payer has certainly worked in many other countries. But I'd like to point out if Americans really want something that's more market-based, other countries have used market-based solutions or more market-based solutions and have gotten really good health care, too. If you look at Switzerland, they have a largely market-based system. But - and this is a really important but - all the countries that have working marketplace-based systems have some form of control over pricing. It's not kind of the Wild West open market. They'll say this is the ceiling you can charge for that procedure. They'll say this is a bandwidth in which you can charge. And you can compete all you want below that ceiling or within that band. But you can't just drive up prices to whatever the market will bear because - I think one of the legitimate analogies is if water or electricity was a totally free market, imagine what prices would be like. GROSS: I want to ask you about coding. And this is, like, the letters and the numbers that are used in the doctor's office to codify, for billing purposes, what procedure you've done, what diagnosis you've been given, what kind of examination you've had. And, you know, it's usually part of your bill that you're handed, like, when you walk out of the doctor's office. You get this, like, big, say, pink sheet with a grid (laughter) of all the things the doctors could possibly bill for with these codes on them. And it's, of course, indecipherable if you're a patient. But I think it's indecipherable for a lot of doctors, too. I mean, it's really complicated. Why does this kind of coding - and that's C-O-D-I-N-G - why does this kind of coding system exist? ROSENTHAL: Well, again, it evolved from a good idea and got perverted into something that is really kind of toxic if you think of health care as a market, I think. You know, it originally - the coding systems originally evolved during the bubonic plague in order to classify diseases. And, you know, there were a lot of people dying in different countries, and you wanted to be able to track disease epidemiologically. Now in the U.S. - and I believe only in the U.S. - these coding systems became the bedrock of medical billing. So you were billed according to what the ICD code was for your disease. And at some level, you know, you say - yeah, that makes sense. You know, rather than write out pulmonary hypertension with grade 3 blah, blah, blah, you just put 107.2 - that's not the actual code for that. But - so yeah, at some - first pass you can say, yeah, OK. That made sense. What happened over time once that coding performed a bedrock financial function - like all the rules on Wall Street for markets, people learned to manipulate it, and other codes developed because, hey, those codes were kind of vague. You know, they just said what disease you have. But if I'm a doctor, I do a lot of different kinds of things for different diseases that I want to bill for. So then you need a coding system for what doctors do, which is called the CPT code. And those CPT codes, by the way, are owned by the American Medical Association. So there's a little bit of a conflict of interest there. OK. So you have the CPT codes for doctors. Well, you know, what about when you're in the hospital? You need a different kind of code for all the stuff that's done there because, hey, in the U.S., we don't bill by you have this disease, so we're going to bill you X amount. We say - and particularly not now - everything is billed item by item in the hospital for most commercially insured patients. So it will be - and you've seen it if you've looked at these 60-page hospital bills - they'll be oxygen, you know, per 15 minutes, $100; recovery room time per 15 minutes, $500; Tylenol - you know, every little thing that's done to you is barcoded and charged and has a code. ROSENTHAL: Yeah, I think you should start every conversation with a doctor's office by asking - is there a concierge fee? Are they affiliated with a hospital? Which hospital are they affiliated with? Is the office considered part of a hospital? - in which case you're going to be facing hospital fees in addition to your doctor's office fees. You ask your doctor always - as I do mine, I've really learned a lot from covering this topic - if I need a lab test, if I need an X-ray, will you send me to an in-network provider so I don't get hit by out-of-network fees? You know, our insurers have deals with certain laboratories and certain X-ray chains. And if you stay within that chain, you'll be largely protected from costs. If you go out of it, you can be hit with big costs. And often, that will be a little hard for your doctor because they may have to fill out a different requisition. But it's worth asking. And any doctor who won't help you in that way, I think, isn't attuned to the financial costs that we're bearing today. I think also when your doctor suggests - why don't we just get this test? You can ask - well, why? How will it change my care? Because often - I've been a physician - doctors are ticking off boxes on a long checklist of tests, and maybe they're not thinking, do I really need that one? Often, a bunch of them come together. And maybe these days with electronic medical records, a lot of them are automatically checked off. The doctor may have to uncheck tests. So help your doctor be more attuned to your financial needs. GROSS: My guest is Elisabeth Rosenthal, author of the new book "An American Sickness." After a break, she'll explain why, if you're in the hospital, it's really important to know whether you are officially under observation or you're being admitted as an inpatient. That's after a break. I'm Terry Gross, and this is FRESH AIR. GROSS: This is FRESH AIR. I'm Terry Gross, back with Elisabeth Rosenthal, author of the new book "An American Sickness." It's about how health care became big business, and it has plenty of advice about how to navigate your way through the health care system and what questions to ask. Rosenthal is the editor-in-chief of Kaiser Health News. Before that, she was a reporter at The New York Times and covered several beats, including health care. And before becoming a journalist, she was a physician. You suggest that if you're in the hospital for any reason, you need to ask whether you are officially under observation or whether you are being handled as an inpatient. So what's the difference, and why do you need to ask that? ROSENTHAL: Well, the difference between inpatient admission and under observation status is huge in terms of the finances. It's not any different in terms of what you see as a patient, and that's why you're so at-risk because you'll be moved to a hospital bed. You'll see the same doctor. You'll get the same tests. But technically, you're not admitted to the hospital. And that has a huge implication for what you're expected to pay because observation status is technically, for financial purposes, outpatient care, which means the terms of your outpatient insurance applies. That means you're responsible for co-payments that may be up to 20 percent. And two days in a hospital, 20 percent co-payment, you're easily into the thousands if not tens of thousands of dollars. Also, if you're a Medicare patient, Medicare will cover your nursing home care if you're transferred out of a hospital after admission. If you're under observation status, they'll say, you don't really need nursing home care. You were never really in the hospital. So you always have to ask. When my mom was admitted to a hospital in New York a couple of months ago, after - is she OK? - the next question was she's not under observation care, is she? She's admitted - because I know the vulnerabilities of that. GROSS: So you should have the presence of mind to say I want to be admitted. I don't want to be under observation. ROSENTHAL: Well, that's the problem, you know. If you're a person who's really sick, what's on - and that's the problem with our health system. If you're a person who's really sick, you're not thinking - oh, am I going to be able to pay this in two months? You're just thinking, I feel awful. I want to get better. Am I going to die? So it's always helpful to have someone who can serve as an advocate for you in the hospital while you're there. But I think it's kind of a sad reflection of our system that that's necessary. GROSS: Another question you suggest that patients ask, especially if they're in the hospital - because this will have an impact on your billing - is, who else will be involved in my treatment, and will I be getting a separate bill from another provider? So what's behind that question? ROSENTHAL: (Laughter) Well, there's been a lot of talk lately about surprise medical bills. And I'm really glad that one of the articles in The New York Times series helped ignite that discussion. That article, which is one of my favorite, was about a young man who went in for neck surgery at a hospital in New York and ended up being billed $117,000 by an assistant surgeon who he'd never met, and it was out of his insurance network. I mean, he was asleep in the OR, so he had no idea this guy was in the OR. When he got the bill, he flipped out and, thankfully, called me at The New York Times then to talk about it. So I think we are all vulnerable to surprise medical bills. You go to an emergency room; you think everything's covered because it's in your network. But guess what - the doctor there may not be part of your network. He might call in a dermatologist who's not in your network 'cause he just wants the dermatologist to look at a funny rash on your shoulder, you know, little things like that. And so you have to ask - who's going to be involved in my care that you're not telling me about? And you have to insist that they be in your insurance network because, otherwise, you can be on the hook for those really, really huge out-of-network charges. And to me, logically, you go to an in-network hospital, you go to an in-network emergency room, everything should be covered in-network. But that's not how the system currently works, so you've got to watch your back. GROSS: You said that when you're in the hospital, that nice doctor who you don't know who stops by every morning and says, how you doing? - might end up charging you, like, $700 for each time he stops by. And you don't know about that. You don't know why the doctor's there. It's not, like, your doctor. Right? GROSS: Is that your expression? I've never heard that before. But what do you mean by that? How are they - why are they there? ROSENTHAL: Well, you know, sometimes they're there because your primary doctor asked them to be there. And so they're doing a kind of drive-by 'cause your primary doctor said, oh, you know, she looks like she could use some advice about nutrition, you know. And your primary doctor probably isn't thinking, that's going to be a big bill for my patient. They're just thinking - well, she's in the hospital anyway. It will be useful. But a consult in the hospital is going to be really, really, really expensive. And there's a good chance you're going to be paying for it or your insurer's going to be paying for it, and we'll all pay. So in other times, it may be the hospital who's assigned that person to come by. You know, there are hospitals now - I would say some of this is motivated by billing, perhaps not all - who say, every patient before discharge has to have a physical therapy consult. What I hear from patients over and over again, the kind of obsessive patients I love who look at their bills, who say, wait - that physical therapy consult - that was just someone who came by and, like, walked with me down the hall. That wasn't a consult. That was five minutes, and there's no way that was worth 600 bucks. But so you do have to say - who are you, who called you, and am I going to be billed for this? And it's - again, it's tragic that, in recovery, people have to think in this kind of keep-on-your-guard, somewhat adversarial way. But I think if we don't push back against the system and the way it bills, we're complicit in allowing it to continue. GROSS: ...In bed several days. So I'm not sure what advice you're actually giving on that because I'm not sure how much power - like - and if you don't need that physical therapy consult, can you send away the physical therapist and say sorry, I have unilaterally decided I don't really need to have your consult? Thank you very much. Go away. ROSENTHAL: Well, obviously, it depends on the situation and your condition. Right? In places where it's just mandatory for discharge, I've gotten complaints from doctors - from heart surgeons who say, I know when my patient needs a physical therapy consult, and I'll order it if they need one. I don't want it to be the kind of automatic check box for everyone. It's just not necessary. You know, everything is context, and health care is individual, obviously. And so you have to be a good consumer and say, if what the physical therapy consult is going to involve is walking you to the bathroom, you can say - oh, thanks, but I've already done that. And I'm fine. GROSS: ...You'll be told I don't know, it's - it depends on how it goes, right? You say in Australia doctors have to obtain informed financial consent as well as medical consent from patients. GROSS: What's entailed in that informed financial consent and what do you think America might be able to learn from that? ROSENTHAL: Well, I think what America could learn from it is it is possible, right? It's not like breaking a law of the universe. This is something that doctors do in other countries. It may be harder in our highly compartmentalized medical system, although more and more we're seeing procedures bundled, meaning having a flat all-in fee for everything you might need. GROSS: That's not really helpful is it? (Laughter). ROSENTHAL: It's not very helpful. If we're supposed to be a consumer, I don't know how you can act on that. But also, yes, there are extremes, but they know pretty much what the ballpark is. And more and more maybe we should be asking them to pay that bundled fixed fee that's the ballpark, and it's their problem that some go way over in some go under. That's what Medicare does for hospital payments, and it's worked pretty well for Medicare. It can be done. It's just that we have not put pressure on our hospitals, our providers and on our insurers to think that way. GROSS: If you're just joining us my guest is journalist Elisabeth Rosenthal. Her new book is called "An American Sickness," and it's about how health care became big business. We're going to take a short break and then be back. This is FRESH AIR. GROSS: This is FRESH AIR, and if you're just joining us, my guest is Elisabeth Rosenthal author of the new book "An American Sickness." It's about how health care became big business. She's also editor-in-chief of Kaiser Health News. Before that, she was a longtime reporter at The New York Times where one of her beats was covering health care. And as part of that beat, she wrote a series called Pain Till It Hurts. So let's talk about hospital bills. What advice can you give us about how to read a hospital bill and what to look for? ROSENTHAL: Well, the first piece of advice I give people is it's overwhelming, but you can figure out a lot with the right tools. First of all, don't be alarmed by the prompt payment discount. Go back to the hospital and say I want a fully itemized bill. I want to know what I'm paying for. Some of it will be in codes, some of it will be in medical abbreviations. I've discovered you can Google those codes and find out what you're being charged for often, and most importantly you might find you're being charged for stuff that obviously you know you didn't have. I mean, Wanda Wickaser (ph) who was the subject of a section of the book - she discovered that in her $356,000 bill for her surgery which was inpatient. I mean, she came into the hospital unconscious and was in the intensive care unit. There was something like 70,000 billed for outpatient surgery. She was never an outpatient. So that kind of thing you can pick up pretty easily. If your son didn't have a circumcision, you know that. Many bills have errors, and you'll find things that will save you money. Even more than that, if we all start asking to see those bills - I mean, I've seen patients who've got bills that just said $76,000 you pay and no explanation of what it is you're paying for. I mean, if I went to the supermarket and shopped and nothing had prices on it and then went home and a month later I got a bill saying $2,000, I, as a consumer and every consumer, would be ballistic. GROSS: So I want to ask you about Obamacare. There are several insurance companies that have pulled out of the ACA marketplace exchanges. What's your understanding about why they pulled out and what that says about how the ACA has been functioning? ROSENTHAL: Well, I think the first thing you have to start with is to say the ACA did some incredibly important things, whatever flaws you can point out, and there are flaws. It guaranteed health insurance to people with pre-existing conditions. Before the ACA, I heard from patients who had a history of mild depression or used an asthma inhaler And as a result couldn't get insurance. It also removed lifetime caps which was really important to people with chronic diseases who might have maxed out their insurance coverage. And it also, I think, in a very important way established health care and health insurance, I should say, as a right that we should all care about as a nation, and it insured 20 million more people. So that being said, the ACA had - and has because it's still the law - its flaws. One of those is that the marketplaces are highly uneven in how well they function. Some have function fantastically. Some have been beset by huge premium increases. Others have been beset by insurers pulling out and saying we can't make money doing this. Well, I would note overall insurers are doing just fine. I think that's one of the lessons, so it was going to take some learning. Some people that dove in were going to say, you know, this just doesn't work for us. Others were going to say it's working great. A lot of patients were pretty happy with it. Some patients found that their premiums went way, way up, and they weren't happy with it. So I think to say the ACA as one thing wasn't working is disingenuous. It's working very well in some places and in some aspects, but not working well in some others. Another thing to point out, I think, which I point out in the book, is that the ACA struggled to become law and is less than the Obama administration had hoped it would be. So part of the distress we're seeing is that Congress did not come through for the ACA in the way that had been initially anticipated, meaning some of the money that had been promised to support the exchanges didn't arrive. It never was approved. GROSS: So one more question - you started off as a physician and became a journalist instead. Why did you leave medicine? ROSENTHAL: Well, oddly, I feel like I'm circling back to the same place. I always loved writing, and I was always writing freelance on the side. And in 1994, I was working in an emergency room in New York City. And I saw a lot of problems with our health care system. And if we remember what was going on in '93, '94, Hillary Clinton was proposing a health care reform plan. And so I initially converted to journalism at the invitation of some editors at the Times to cover the Clinton health reform. And I honestly always thought - OK, I'll do this. I'll cover medicine. I'll cover health care reform, and it will be done. And then I'll go back and be an ER doctor, and I'll be happy. And I guess I got distracted. And of course, the Clinton health reform didn't pass. And here we are, you know, more than 20 years later talking about the same issues, only more so. And I think that's what drew me back to health care reporting, was I saw all the same issues but in such an exaggerated form. And I think - you know, when I was drawn to journalism, to write about health care reform in the '90s - at that point in time, health care was still pretty much working for the upper-middle-class people who were insured for physicians. I mean, it was OK. It wasn't working for the people I was seeing in the emergency room, people with HIV/AIDS, people who were poor. When I came back to the U.S. after years as a foreign correspondent, my kind of aha, eureka moment was - hey, this system isn't working for anyone now. GROSS: Elisabeth Rosenthal is the author of the new book "An American Sickness" and is editor-in-chief of Kaiser Health News. The new season of the "Breaking Bad" spin-off "Better Call Saul" starts tonight on AMC. Our TV critic David Bianculli has the review after this short break. This is FRESH AIR. Transcript provided by NPR, Copyright NPR.